Walt Disney World is the ultimate travel destination. Since there are so many exciting things to experience in a short time-frame, vacationers often find preparing for their trip overwhelming. An easy way to reduce this stress is by reviewing the MagicGuides Disney Packing List. From clothes to snacks, our Disney packing list covers just about everything you will need to bring. 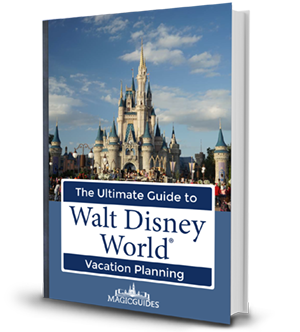 MagicGuides Disney Packing List helps you visualize what to pack for Disney World, and which items should be left at home. It’s always easier to check items off a list rather than raiding your dressers and closets at the last minute! Click here for the code to share our Disney Packing List on your website. Don’t leave home without your ID (license), credit card, and Disney gift cards (if applicable). Having some cash on hand is always a good idea. If you have Magic Bands or hard copies of tickets/reservations, bring them as well. Having a hard copy on hand can save you lots of aggravation if phone or internet issues were to arise. Make sure you know the names and addresses of any destination you have booked. Also, a copy of a written itinerary, if you have one, will make things a bit easier. A top recommendation on the MagicGuides Disney World Packing List is to bring comfortable walking shoes. Happy feet are crucial to happy Disney World vacationers. A typical Disney vacationer spends a large portion of his/her day walking between attractions and standing in lines. Therefore, be sure to pack shoes that will keep your mind on having fun rather than on sore feet. We suggest you bring a lightweight backpack/daypack to Disney parks. This will hold your essential items – like tickets, ponchos, sunscreen, water bottles, snacks, phone charger, Disney World map, etc – and spare you the expense of renting a storage locker. Since it will be with you all day, be sure any backpack you choose is lightweight and fits comfortably. See our Best Backpacks for Disney World and Best Fanny Packs for Disney World pages for suggestions. It’s import to consider hydration when deciding what to pack for Disney World. Walking around all day – under the warm Florida sun – is sure to make you thirsty. We recommend packing a refillable water bottle inside your daypack. This allows you easy access to water throughout the day and saves you the expense of purchasing bottled water inside the park. Tip: If you ask a cast member at any counter service restaurant, they will be happy to refill your water bottle for you. So you have your shorts, t-shirts, jeans, flip-flops, and other warm-weather clothing ready to go. But did you remember to pack nicer clothes for fine-dining reservations and nighttime entertainment? Disney World is home to some of the best dining and entertainment available. If you plan on partaking in these aspects of Disney, consider packing a few classier outfits for these events. Bringing extra bags is often overlooked on Disney packing lists. We recommend that you bring several large Ziploc or trash bags to keep your dirty (or wet) clothes separated from your clean clothes. A well-organized Disney World vacationer is a less stressed Disney vacationer! Small Zip top bags can come in handy to protect electronics and wallets on water rides. It’s no surprise that Orlando, FL is a warm, sunny destination. This is usually a good thing, but too much sun can quickly turn into a negative. Be sure you are prepared to deal with the Florida sunshine. Pack sunscreen, sunglasses, hats, or whatever else you may need to keep the sun from affecting your enjoyable Disney vacation. If you are looking for ways to cut down on spending, we suggest packing your own snacks. While there are plenty of concession stands at Disney World, extra costs add up, and time spent at concession lines could be otherwise spent on rides. Snacks are also a great item to pack for road trips and flights to and from Orlando. For more interesting thoughts about what to pack we found this article to be helpful. Now let’s review a more comprehensive list of what to pack for Disney World. We have grouped the MagicGuides Disney Pack List into separate categories to make it easier to follow. In most cases, you will already own most of the things needed for your Disney vacation, including toiletries, electronics, warm-weather clothing, and baby care items (if applicable). Here is a list of recommended items which you may not already have. As a starting point, we have included one suggested item (from Amazon) for each category. American Tourister and Disney have co-branded a fabulous line of Mickey and Minnie-themed suitcases. These are perfect to get you in the Disney spirit as you pack for your vacation in Orlando. The American Tourister Disney suitcases feature a 100% ABS plastic or polyester exterior, single spinner wheels, push-button locking pull handle, split construction interior with large mesh pocket, and fun Disney designs. The dimensions are 28” x 19” x 11” for the large suitcases, and 18” x 13” x 9” for the smaller ones. Other sizes are also available. American Tourister and Disney both offer a selection of fun Disney-themed backpacks. These multi-purpose backpacks can function as either an in-park daypack or as a kid’s backpack to store travel essentials. These would make a great addition to any Disney World packing list. Comfortable shoes should be a top priority on your Disney World pack list. It may be a good time to update your wardrobe with a new pair for walking shoes/sneakers prior to your Disney vacation. Allow a break-in period (of a week or two) before using your brand-new sneakers at Disney. Be prepared for the uncertain Disney World weather and save money by purchasing your rain gear in advance. As we mentioned before, ponchos will cost you $9 or $10 in the park. This 10-pack – by Wealers – gives you a variety of different colors in a one-size-fits-all package. These will cost you considerably less than ponchos purchased inside WDW, and ensure that you stay dry if that bright Florida sky turns grey. Whether checking wait times, reservations, apps, sharing updates to social media, or snapping Disney World photos, your phone is a crucial in-pack item. Your battery will drain quickly so you must be prepared or else face the consequences. We recommend packing an external charger in your daypack so you can recharge your phone or camera battery when needed. We also recommend packing a multi-outlet USB wall charger. These save precious space in your suitcase by effectively keeping your cell phones, tablets, external charger, and cameras juiced without the need to pack separate chargers for each device. To avoid getting dehydrated during your Disney vacation, we recommend you carry a refillable water bottle in your in-park daypack. This will allow you to avoid stops at pricey concession stands or waiting in lines to get free water at counter-service restaurants. When the Orlando heat hits you hard and you need some relief, grab a Frogg Togg Chilly Pad. These space-age towels are made from a synthetic material which keeps you simultaneously cool (up to 30 degrees) and dry. So, if you are bothered by the heat, a small investment in a Frogg Togg Chilly Pad may provide you with relieve on those sweltering Disney afternoons. If you plan on heading to Disney’s Typhoon Lagoon or Blizzard Beach – or just down to your hotel pool – you will need some beach towels. Consider picking up a Disney-themed beach towel before you depart for Orlando. We hope the MagicGuides Disney World Packing List has helped you formulate your own list of what to bring on your trip to Walt Disney World.